David Gann is Imperial College's Vice President, leading Innovation. He is a member of the College's Executive Board. 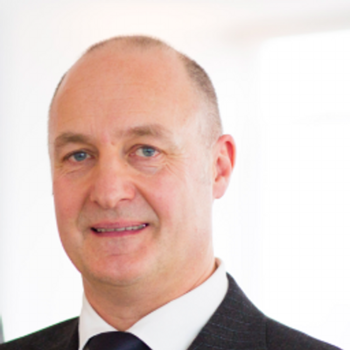 David was previously Deputy Principal, Imperial College Business School. David is Professor of Innovation and Technology Management at Imperial College Business School and Department of Civil & Environmental Engineering, Imperial College London. La gracia es la comprensión de que los líderes no logran grandes cosas por sí mismos; necesitan a otras personas con quienes trabajar, en quienes confiar y a quienes respetar. Collaboration between academia and industry partners have produced everything from a melanoma treatment to electric vehicles. As the world of work becomes more turbulent and uncertain, entrepreneurs thrive. And by emulating how they behave, even non-entrepreneurs can make their working lives more satisfying. As public crises like obesity and environmental destruction continue to worsen, behavioural science is more vital than ever to policy-makers. Many of today’s most awesome scientific and commercial opportunities, such as metamaterials and DNA sequencing, have taken decades to move from the lab to the market. Si se hace bien, la IA puede aumentar y potenciar el trabajo que las universidades llevan a cabo. ¿Están preparadas para lograrlo? Artificial Intelligence (AI) is a technology whose time has come. Instead of idolizing the solitary genius, we need to focus more on scaling up existing businesses. The financial and career limitations young people face sit alongside the way their parents raised them to “do what makes you happy”. Most of the digital disruption debate has focused on the implications for competition and employment in the corporate world. But what about the broader consequences for society? After the US election and Brexit vote, talk of ‘walls’ is spooking scientists and innovators.